First gaining recognition through Gilles Peterson’s BBC1 WorldWide radio show with their 2008 track “Combiner”, Danish collective Boom Clap Bachelors (comprised of Robin Hannibal of Plug Research’s Quadron, Ronni Vindahl, Thomas Bisballe, and David Cytryn, with additional vocals from Coco O. (also of Quadron), and Liv Lykke) have quickly made a name for themselves through their soulful sounds infused with subtle synth and pop influences. 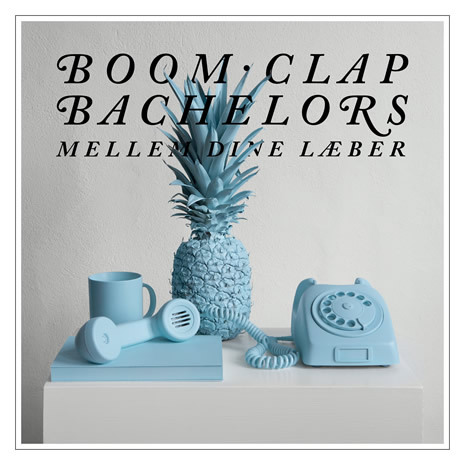 Signed to Plug Research Music in 2011, following Robin Hannibal and Coco O.’s Quadron deal, Boom Clap Bachelors say they’re most excited (and anxious) to see how the Danish lyrics of their upcoming EP release MELLEM DINE LÆBER (Between Your Lips) will be received by English-speaking listeners. But one listen to the organic simplicity of “Løb Stop Stå” (“Run, Stop, Stand”), the dancefloor beckoning “Testikularitet” (“Testicularity”), or the fluidity of “Skynd dig langsomt” ("Hurry Slowly") is proof enough that with Boom Clap Bachelors, nothing gets lost in translation. Who said the words “Soul” and “Denmark” can’t be used in the same sentence?